Here at BetterDeck, we provide products for your entire decking project. We have a wide range of high-quality decking accessories, all of which are designed to increase the performance and aesthetics of your deck project. Our collection of Commercial deck accessories will complement your superior composite deck boards and keep your new deck looking sleek and flawless for a lifetime. Along with our low-maintenance composite decking, we also supply BetterJoist– high quality pressure treated timber which is imported from the US. This timber is intended for use as the sub-frame of the deck and is fully rated for ground contact. 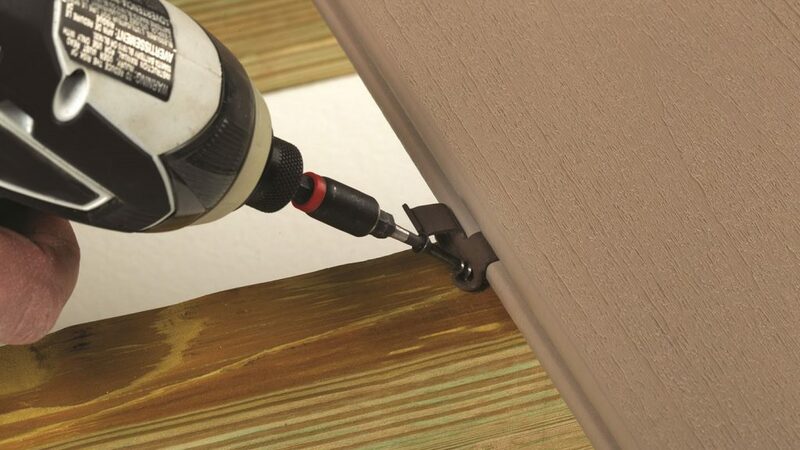 When using grooved-edge boards, our hidden deck fastening system installs between the deck boards, fastening them to the joists with no visible deck screw heads on the walking surface. This precision also creates perfectly consistent spacing between the boards for a flawless look across the entire deck. Our white vinyl ceiling panels collects and drains the rain water away from your new dry space. It provides a maintenance-free ceiling that covers the unsightly underside of your deck, turning it into a clean, bright, dry outdoor space. Our system is most commonly used under decks or carports.